Drawing inspiration from the classic Polo Shirt that we have been making since the 1950s, this beautifully crafted jumper is a classic style that will lend sophistication to any outfit. 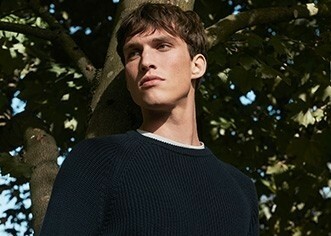 Knitted from a new lighter wool this merino jumper is the perfect option for layering all year round. Still exceptionally soft and lightweight, it features a 3-button fastening, ribbed hems and cuffs, and a crisp collar.